Are you always trying to hit your goals and make it big? When you least expect it, good things come in small packages. Hitting it BIG makes us feel more accomplished and more successful! But why do we still live our life like something’s missing? One reason might be the “I gotta have it now!” syndrome! There’s no time ….. But why trip over what already is in front of you? It’s all about the little steps. The small steps you need. You don’t have to make it BIG to have arrived. You need to invest with daily consistency and mark the present. The K.I.S.S. ~ Mark the present and W.R.A.P. it up good! If you get too caught up in the past, depression may own you. Or if you keep living for the future, anxiety may claim you. You want neither of these in your life. So invest with daily consistency and mark the present and W.R.A.P. it up good. Wait – It’s not about doing nothing, sitting around waiting. Be present. Take those baby steps, the next steps. Renew – Keep your dream alive in your heart. Don’t put your dream on the back burner because you can’t do it all now. Anticipate – Ready yourself. Be watchful of what’s to come. Watching for the doors to open. Nothing comes without a price. The price is paid daily; not in leaps and bounds. CHALLENGE: What one step needs to be taken today for your dream? 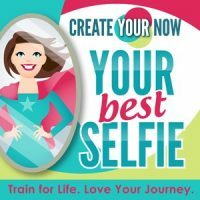 Filed Under: Create Your Now ~ Your Best Selfie Tagged with: Be Present, Mindfulness, Mindset Monday, Personal Development, W.R.A.P.